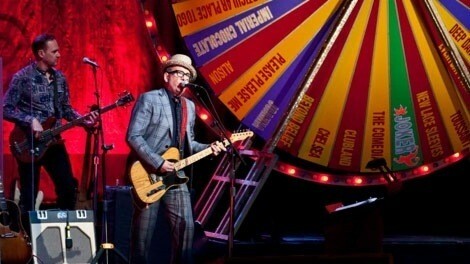 Elvis Costello & The Imposters: The Revolver Tour – Where Spinning Equals Winning Every Time! The master showman does it again. 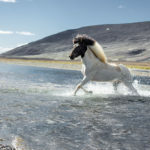 A spectacular music event where “on demand” takes on new meaning! For the first time in 25 years, Costello will let the fans rule the repertoire. 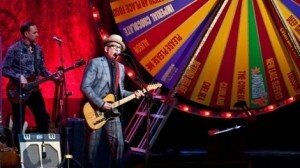 In the return of the Spinning Songbook, an oversized Wheel of Fortune takes center stage and leaves the performance of Costello classics and musical genius to chance. The good news is that there are no losers in this playful interactive show. Costello’s creativity connects with the audience. 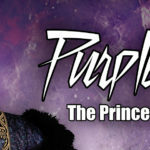 And, once again this iconic and versatile artist delivers a legendary performance that is not to be missed. For die-hard fans – like this Diva – the tour is a truly a gift from the music gods! A Grammy Award Winner and Rock & Roll Hall of Fame Inductee, Elvis Costello has few rivals in the realm of talent. 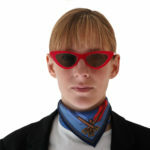 Timeless ballads like “Alison” and powerful poetic songs the likes of “Peace, Love and Understanding” set the bar high…heavenly high in a world often cluttered with senseless noise. You still have four show dates left this month to see the Elvis and his faithful band at work stateside… before the tour crosses the pond in May. North Florida is graced with a performance in late April. Photo images courtesy of The Florida Theatre and Elvis Costello Official Revolver Tour website.